The series jumps into a new story arc for both title characters. On Angel’s side, Amy Madison reinserts herself into his life, obviously with some bigger scheme in mind. Her first order of business, however, is to obtain Angel’s help with a little resurrection. 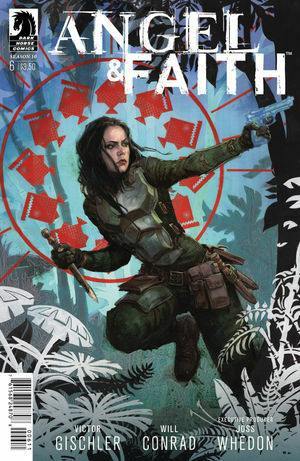 Faith begins her newest mission for Deepscan in South America to search for Riley in hopes to make amends, but of course things don’t go as planned as her team runs into tribal vampires. Both stories have come out of the gate strong, bringing back two very different characters from the past which bring their own emotional baggage to Angel and Faith. The last issue ended making us wonder if Angel was reverting back to some soulless ways, but we learn nothing new yet; perhaps a certain witch who has it out for Angel has something to do with it though. The book continues to delight every month and keeps us on our toes guessing. This is how you do a successful crossover between two characters that live in separate worlds. During the present day, Grendel obtains an antique burial urn. Inside he finds a scroll with an incantation that when he reads, sends him hurtling back into the past during the 1930’s. Seeing it as a brand new world to conquer, he sets out to consolidate the criminal underworld under his thumb. 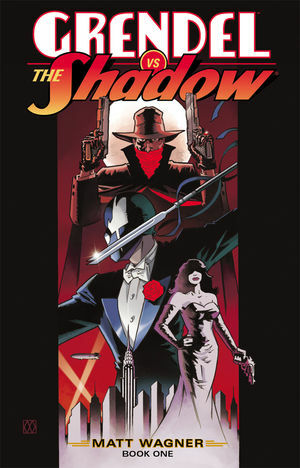 However, unbeknownst to him, The Shadow is waging a war against the criminals. During his investigations, he learns of this new player in the mafia, leading the two towards a direct collision. Having created Grendel, of course Wagner writes him perfectly, but he also makes sure that the book is equally split between both characters. He has brilliantly brought the Shadow to life and represents him as you would expect. The issue is double sized to make way for a rich story, but by the end you’re already clamoring for more. Wagner has created a wonderful story for these two characters to come together and we can’t wait to see more. 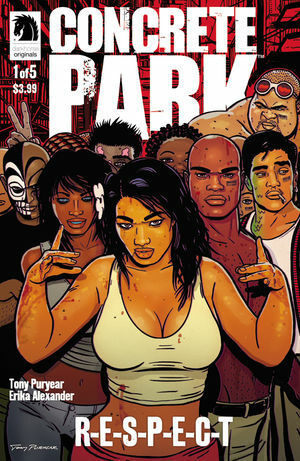 Concrete Park makes its long awaited return this week, bringing it’s second volume R-E-S-P-E-C-T. Issac has crashed landed on the planet with what is left of his rival, Boza, and is found by Luca. Luca and her followers take Issac in while they try to negotiate the salvage of Boza, possibly to sell for parts. Unfortunately when she returns to Scare City, the Potato King makes his play to wipe her out. The issue is definitely action packed and brings us back to an interesting world that almost brings similarities to Pandora from Borderlands. The story brings a few twists and turns to keep everything exciting, but the real draw is Puryear’s eye popping art. His art is simply stunning and is almost enough reason alone to make sure not to miss out. For most readers, Dr. Mirage is a long forgotten character from the 90’s that was lost when Valiant Comics met its demise. Now 20 years later Valiant Entertainment has unearthed the character once again, at least the moniker. The title character is no longer Hwen Mirage, instead replaced by Dr. Shan Fong, a psychic detective that can speak to the dead. That is albeit her deceased husband, who actually might have a strong connection back to the original character. 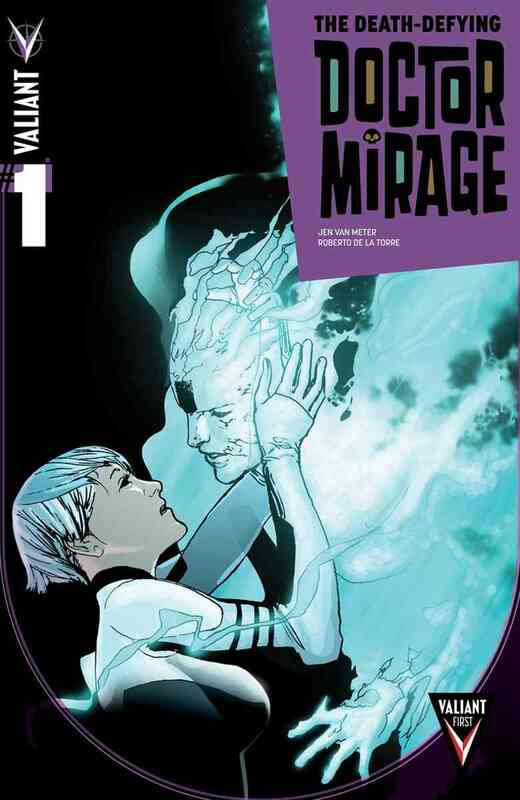 Valiant Entertainment has done an exceptional job of recreating their old characters for a new age and now they’re hoping Jen Van Meter and Roberto de la Torre will have the magic to revive Doctor Mirage with the same success. 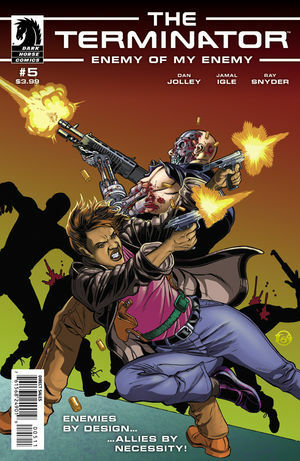 Rest assured, Van Meter and de la Torre have done a terrific job in reviving the dead hero whether or not you were a fan of the original hero or coming in for the first time. Read the complete review. Being a Terminator title, you should not expect much else than lots of action. Lots of it and that’s what you get here. We do get a glimpse of the past showing the mistake on an operation Greene made to get her into her situation, and even it has a good dose of action. After that it’s Greene and the Terminator taking down their captors in a pretty epic showdown that would make Tarantino proud. The inevitable conclusion to the Terminator and Greene’s partnership finally comes to fruition, but with one issue left, things are just getting started. Like a good action movie, there is not a lot you need to think about while reading, but that doesn’t mean it isn’t fun to watch the pretty destruction. 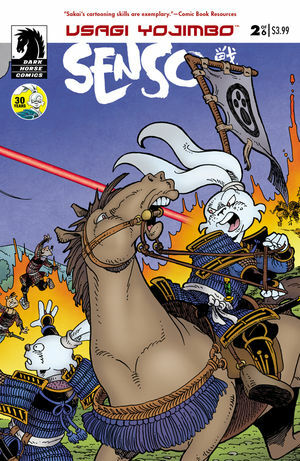 Is is possible to say a series that stars a samurai rabbit could jump the shark? I kept asking myself that as I read the issue and while I never came to a definitive answer, I know I was not very happy with this direction. Last issue during the massive battle between Usagi’s new master Lord Noriyuki and the dark Lord Hikiji, a giant rocket fell into the battle field. We quickly find out that this is a space ship containing aliens who seem intent on killing anyone they come into contact with. Both sides lose massive casualties, none more so than Lord Hikiji. While a plan is devised to attack the aliens, they begin to worry what tot do if more come. Bringing aliens into Usagi Yojimbo just seems like an off the wall idea that I just cannot fully get behind. Sure the saga has seen some strange stories here and there, but aliens? Really? While it is not a deal breaker as the issue still has plenty of entertainment, it is still a hard concept to accept. With all of his friends around him fallen, Faustus has to make the toughest decision of his life. The Makers are coming to pass judgement on the world, and whether he likes how things came to this point or not, he needs to decide between giving up with everything laying in waste all ready, or taking hold of ultimate power which could heal or corrupt. The issue shows what makes a great hero while giving Faustus, and us as the reader, much to contemplate. 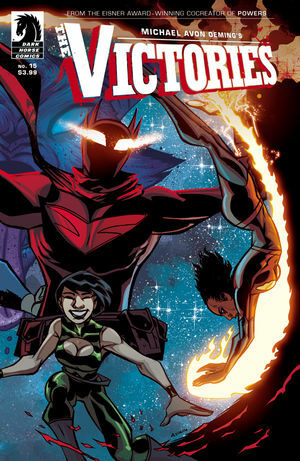 While I have always loved Oeming’s art, The Victories did not start out as one of my favorite series. Now that it is nearing the end, everything is firing on all cylinders and it is beautiful, art and story. This is not a typical super hero story, and that it what is making it unpredictable and fantastic as in nears its end.